I just came across an advertisement for the Texas Parks & Wildlife Foundations April 2016 Focus on the Wild photo contest. The April subject is “Texas wildflowers in bloom.” I immediately knew exactly which photographs I wanted to enter. Sometimes it’s discouraging to enter photo contests and not win, but what I like most about contests like these is getting my photographs in front of a much wider audience than normal. Here are my three entries. 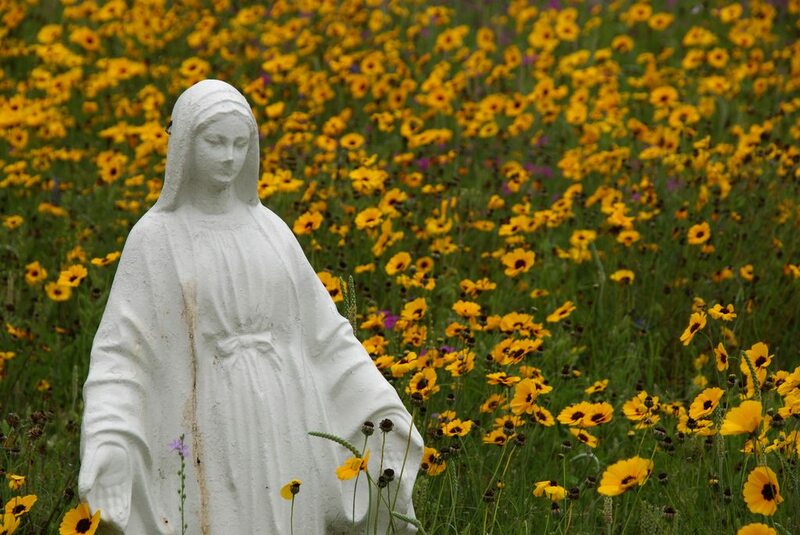 Each spring, “the old cemetery” in Rockport is taken over by wildflowers. Though tickseed is the most common (it’s the golden yellow one seen here), there are also bluebonnets and winecups (among other flowers). There are many old statues and tombstones throughout the cemetery that make for picturesque photographs. 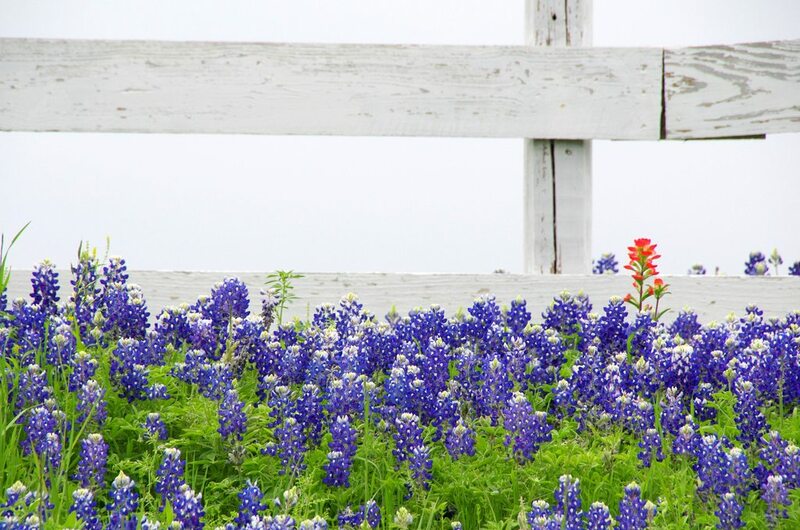 I was on the way home from a dear friend’s wedding when I passed this scene — the perfect fence & bluebonnet shot. This photo was high up on my “photo bucket list,” so I turned around to take a few shots. I debated long and hard on whether or not to include the Indian paintbrush in my photograph. In the end I decided to leave it — it adds some visual interest without cluttering-up the photograph. Aside from that, I think we all feel a little out of place, just like this Indian paintbrush, from time-to-time. I was driving from Austin to Borger when I passed this scene. I was kicking myself for not stopping (mostly because I don’t think it gets much better than cows grazing in a field of bluebonnets) and several miles later made the decision to turn around and go back to get a few shots. There was a nice, big caliche driveway leading up to an entrance for this field, so I went ahead and pulled in to the side of it. I was able to get quite a few shots (I’m always willing to stay some place a bit longer when I don’t feel like I’m in danger), but this one is my favorite. 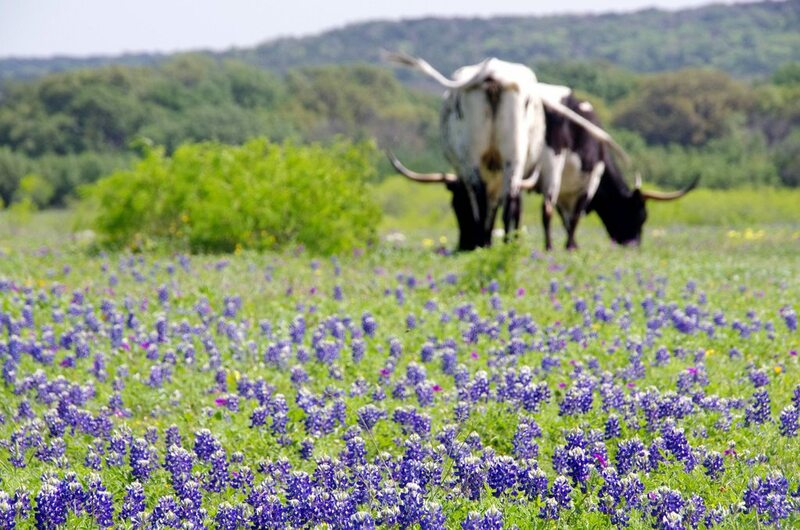 I like the sense of movement from the longhorns’ tails, the hillcountry in the background, and the bluebonnets in the foreground.